I voted a week ago: my state allows for early voting; my friends and I did research, marked the day on our calendar and celebrated afterwards. I remember that I shook the entire time, the pressure of so many voices weighing down on me. That weight was gone once the ballot was sent. 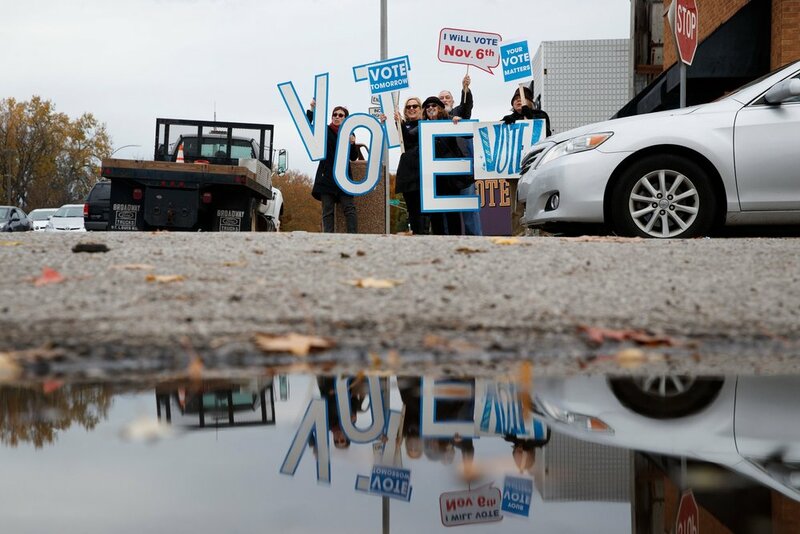 Voting early felt anticlimactic in a way, despite our efforts at making it meaningful. It was like I could hear my one voice, quiet and trembling, waiting for others to fill in the harmony, hoping that the volume of our collective chorus would force someone to listen. I have heard many attempts at explaining the difference in right and left world-views. I have read, watched, listened, and grappled with these various explanations, always ending up feeling hopeless and alienated by those who would take my and my loved ones’ rights away, no matter how hard I tried to understand where they were coming from. Why was I trying so hard when they (seemingly) did not try at all? It was only recently that epiphany struck. Our “dissent” registers as “complaint.” Our requests at being acknowledged and cared for simply sounds like whining. This epiphany came from following @SaraNAhmed on twitter, the illustrious FeministKillJoy. She has spoken extensively on the politics of complaint and her hashtag #complaintasfeministpedagogy is filled with individual experiences of what I see all around me: the systematic tearing down and abuse of those identifying a problem. By complaining, we become what Ahmed calls a “bad object:” that which does not fit, disrupts the peace, and makes what has become comfortable for those in power inconvenient. Equity ideology is, for the powerful, a bad object. It is comfortable to be in control, to have your needs catered to and prioritized. It doesn’t only happen on the large scale. Any community is plagued by their own bad objects that derail the power structures that have formed. This becomes clear to me every time I make known my own identity. For the sake of being convenient and keeping you here with me, I will not list it. However, the inconvenience of my voice disrupts the narratives of who deserves to be heard, so much so that my presence in the left is sometimes discredited. My fears are ignored, my voice squashed. I couldn’t help but feel vindicated in my devastation when most of what I predicted came true. But I digress. What does all of this have to do with voting? I offer these thoughts to you as a framework through which to view the act of voting. In this election, voting can be dissent. Our complaints have made obvious that the comfort of the powerful rests on our being dismissed. Instead of accepting our inconvenience and making room, they have doubled down and attempted to reverse what progress we had claimed. Up till now, we have made our complaints known through many means: social media, protests, walk-outs. They heard us, we’ve been labeled inconvenient, and they want us to be quiet. It started with voter suppression and misinformation, now it’s moving to intimidation at the polls. The point is that today is voting day. This system of ours claims to have a complaint box: the voting booth. It would be far more convenient if we were too afraid to use it. I was lucky in my voting experience. I was allowed to call out and now my voice is waiting for yours. Please vote today. Make us known.